Location Location, Location!!! 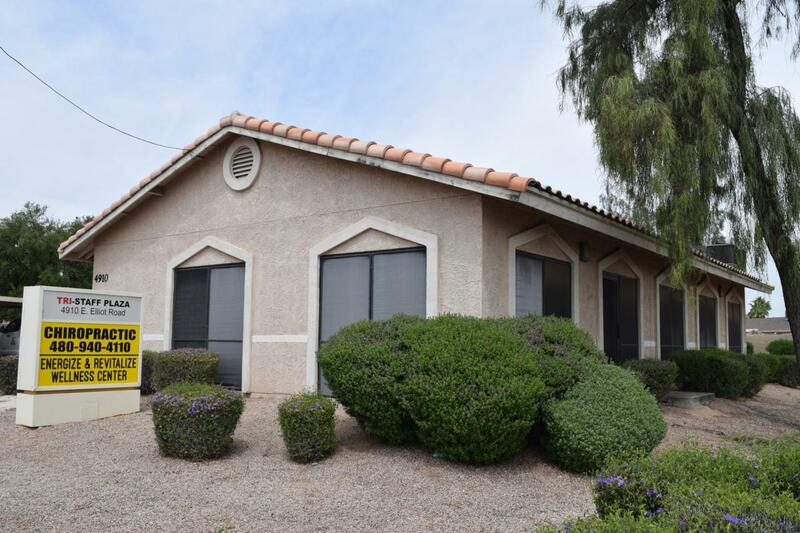 This freestanding office building is located just west of the I-10 Freeway with frontage on Elliot Road. Monument signage available. Close to retail and restaurants, downtown Phoenix, the airport, ASU, and Ahwatukee/ Tempe/ Chandler! This 2181 sqft built out general office building, for sale, is split into two 1090 sqft units. Unit 100 is leased. Unit 200 is currently for lease: it has 4 offices, an IT closet, a bull pen, waiting room and a restroom. Asking $16/ft NNN. Perfect for Owner occupied OR Investor. There are currently 4 covered parking spaces per unit and this building is located steps from a bus stop. Better hurry, this freestanding office building will not last! Call me today for a showing!